We love Nigella for her soulful, feel-good comfort food, her cooking evokes happy memories and her love of food is infectious. In Nigella Express, the companion to her Food Network show of the same name, she adds a dash of realism to her solid repertoire and dishes up a selection terrific time-saving meals for busy families. 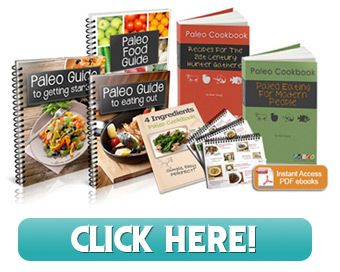 This is fast food for those who love eating and while we may be pressed for time we still want to eat well. Nigella has our best interests at heart here and her aim with this book is to help you get the best possible meal on the table with the least fuss. As always her recipes are neatly wrapped up in beautiful prose and with helpful and witty advice. Although she may not live like the rest of us she is a working mother and knows all too well how a busy day can play havoc with mealtime. Her recipes offer both solutions and inspiration. Tried Nigella’s cheddar cheese risotto from this book the other day. Brilliant! i love nigella’s recipes. its quick and healthy. i always watch her on tv. i love the way she handles the food and manage her time with her family at the same time. 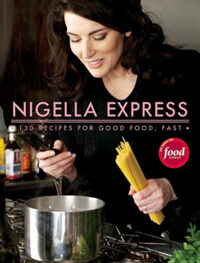 Nigella projects the image of a complete and a perfect housewife. i want to be like her. She cooks with no stress at all and always put a smile on her face.And all her kitchen wares are wonderful. I wish i also have some of those. So excited to get the book after watching all her shows, unfortunately, bitterly disappointed with my first trail recipe for Macaroni Cheese, should have been simple but was dry and chewy, no shortcuts for a bechamel sauce I guess!! if you like to read Nigella, then you must try Domestic Goddess and How to Eat, she’s in her finest form.